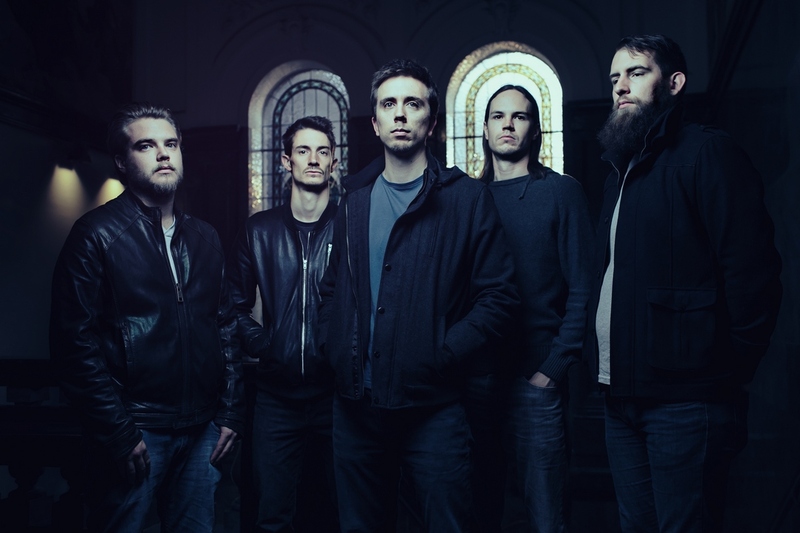 The Australian melodic death metal band Be’lakor are back with their latest album Vessels. Keyboardist Steve Merry gets us up to speed on the record, a new member, his musical origins, favorite Aussie metal bands and more. Heavy Music Headquarters: How did new drummer Elliott Sansom come to join the band‭? Steve Merry: Elliott had been a friend of the band for some time,‭ ‬having started as a fan about ten years ago.‭ ‬When the time arose for us to change drummers,‭ ‬Elliott was one of the first people‭ ‬we considered,‭ ‬because he was already drumming really well in several local bands‭ (‬Future Corpse,‭ ‬Okera,‭ ‬The Seaford Monster‭) ‬and we knew him well.‭ ‬The switch was one of those inevitable things where after so many years as a band,‭ ‬some people‭’‬s goals change,‭ ‬and a new chapter begins. Was there anything unique about the songwriting process for Vessels compared to your earlier albums‭? We took our time more,‭ ‬and definitely allowed ourselves to take more risks.‭ ‬A whole range of new sounds were tried.‭ It‭ ‬was an exciting process. What will be your strongest memory of the recording of the album‭? Exhaustion‭! ‬We put in some really long sessions,‭ ‬and for many days in a row at times. What inspired the album title‭? We had wanted to choose a one-word title.‭ ‬The word‭ ‬Vessels captures a few different aspects of the album‭’‬s themes.‭ ‬A key one of these is that each song explores life‭ ‬and energy‭ ‬through a different life form,‭ ‬or‭ ‬vessel.‭ ‬The energy,‭ ‬as light from the sun,‭ ‬passes through each one,‭ ‬allowing us to explore the struggles‭ ‬and interconnectedness,‭ ‬of life. How did you come to sign with Napalm Records for this album‭? We got an email from them,‭ ‬and then over the next sixth months or so we remained in touch,‭ ‬allowing us to discuss both their goals for the band and of course our own.‭ ‬We then met with the‭ ‬label while we were in Europe in‭ ‬2015‭ ‬to play some festivals.‭ ‬It has been a really great working relationship with Napalm so far. It does not‭ ‬drastically‭ ‬alter our goals or expectations.‭ ‬For us it has always been about writing music that we like and gradually building the band,‭ ‬and this will continue. You have some Australian shows lined up.‭ ‬Any other tour plans coming up‭? Yes,‭ ‬but we have to keep these secret for a little while longer‭! How challenging is it for Australian bands to break through in places like Europe and North America‭? It does make it slightly harder, but not impossible.‭ ‬It probably mainly means that bands from Australia need to plan‭ ‬really‭ ‬carefully about how and when to tour.‭ ‬The internet of course means that good exposure can still be achieved almost anywhere in the world. When did you first start listening to metal,‭ ‬and what was the first metal record you bought‭? For me,‭ ‬it was back in about‭ ‬2003.‭ ‬The first two metal albums I fell in love with were‭ Clayman‭‬ by In Flames,‭ ‬and‭ Morningrise‬ by Opeth. How did you get started as a musician‭? I‭’‬m not sure if I have gotten started yet‭! ‬(laughs)‭ ‬We‭’‬re all‭ ‬basically‭ ‬part time hobby type guys,‭ ‬so for us music is for fun.‭ ‬But I first started writing music in‭ ‬2000‭ ‬when I was about‭ ‬16. Who were your early influences and inspirations‭? A whole range of bands:‭ ‬AC/DC,‭ ‬Deep Purple,‭ ‬The Beatles,‭ ‬Queen,‭ ‬Led‭ ‬Zeppelin‭. Also Mike Oldfield with his amazing album‭ Tubular Bells‭. Is your family supportive of your decision to pursue a musical career‭? They have always‭ ‬been‭ ‬amazingly‭ ‬supportive‭ ‬of me in terms of the band.‭ ‬But we still don‭’‬t earn any real money from the band,‭ ‬so we have full time jobs.‭ ‬Education‭ ‬is my field,‭ ‬but the guys in the band also work in engineering and a range of other jobs. Who are your all-time Top‭ ‬5‭ ‬Australian metal bands‭? That‭’‬s a tough one‭! ‬I‭’‬d say‭ ‬Nazxul,‭ ‬Alchemist,‭ ‬Psycroptic,‭ ‬Astriaal and Kepler. I just wanted to say thanks to you for the interview and for supporting our music‭! Vessels is available at this location.